It's hard to pin this album down to any one genre. Shuggie's own label, Shugiterius Enterprises, admits that he would only be a household name to "those that are knowledgeable about popular R & B-Blues-Rock-Funk music that was released during the mid-sixties, and early seventies." Shuggie Otis has been in the music business for a long time. In fact, he started performing with his father, Rock and Roll Hall of Fame inductee Johnny Otis, at the tender age of 12 in night clubs throughout southern California. After his father brought him into the recording studio he became an in-demand session guitarist and appears on albums by everyone from Above the Law to Frank Zappa. Eventually Shuggie started recording his own tracks and released his first album in 1969. 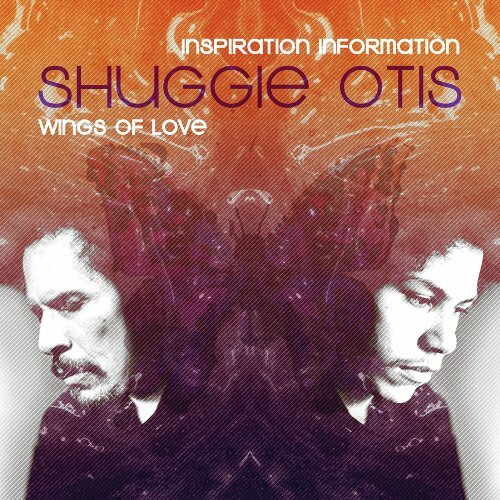 Inspiration Information was originally released in 1974 as Shuggie's third studio record. Shuggie has absolute control over this album. He played every instrument and sang every part. The album was reissued in 2001 on David Byrne's label, Luaka Bop. That edition had four tracks from Shuggie's 1971 album Freedom Flight. This release doesn't, but it does have four brand new bonus tracks. It also comes with a second disc of previously unreleased recordings from 1975-2000 entitled Wings of Love. This album is, in a word, smooth. Find Inspiration Information/Wings of Love in the library.